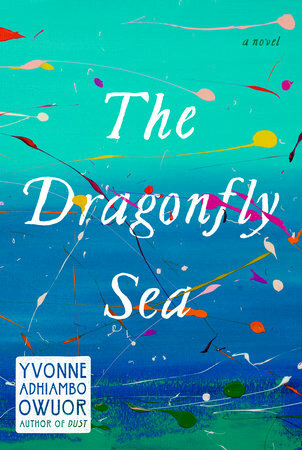 Yvonne Adhiambo Owuor’s The Dragonfly Sea will be available for purchase on March 12, 2019. This will be the second book from the Kenyan writer after her 2014 smash hit Dust. Yvonne Adhiambo Owuor burst onto the African literary scene when she won the Caine Prize for African Writing in 2003 for her short story Weight of Whispers. She followed it a decade later with Dust, a stunning tale showing a family’s loss as a mirror to a country’s history. That book won the Jomo Kenyatta Prize for Literature in 2015 and was shortlisted for the Folio Prize 2015 and FT/Oppenheimer Fund Emerging Voices. Followers of the writer have been eagerly waiting for the new manuscript, The Dragonfly Sea which she teased to Kenyan audiences in 2016. The book is currently on Amazon and will be on sale from March next year. The book which is published by Knopf seems to be quite a large tome as it is 512 pages long. Here is the blurb of what promises to be a very good read. Exciting times with this new work from one of the most promising authors from East Africa. Make your preorder for the book here. Previous Previous post: Koffi Addo Prize for Creative Nonfiction 2018 Shortlist announced. Next Next post: Panashe Chigumadzi’s “These Bones Will Rise” launches in Harare, Zimbabwe.